What part did depression and mental illness play in the downfall of Faigy Mayer? Why did Faigy Mayer, a 30 year old self starter entrepreneur jump to her suicide death? These are the questions journalists and commentators have being asking since news of the former Hasidic Jewish woman’s jumping death off 230 Fifth Avenue bar last night have made headlines. 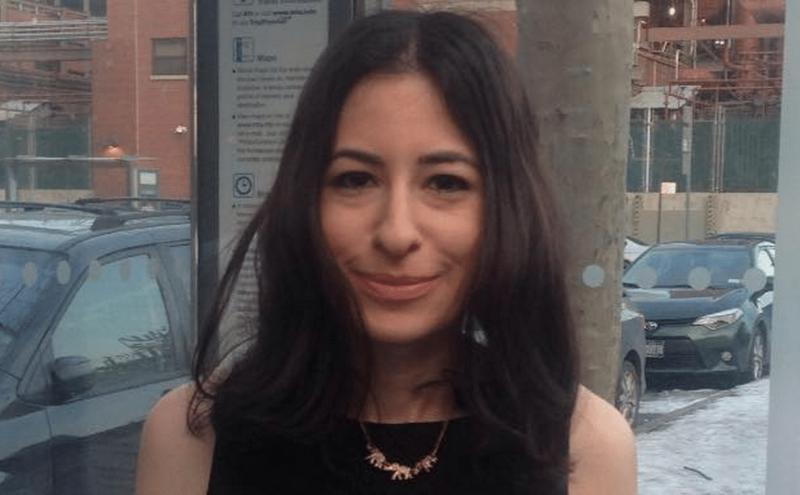 Faigy Mayer: Do Hasidic Jewish groups have blood on their hands? Why did Faigy Mayer leap to her death? Patrons continued drinking. 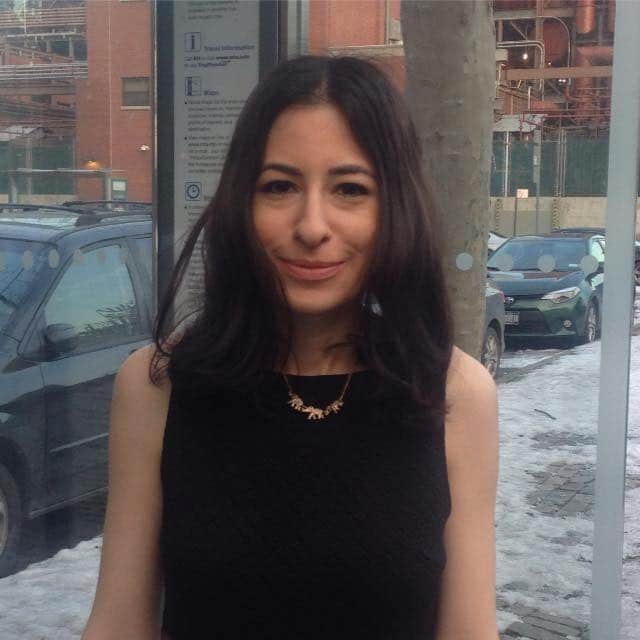 An earlier exclusive report from one of our sources told that Faigy Mayer had found herself ostracized and effectively punished for having ‘dared’ leave the strict Jewish Hasidic faith, with religious organizers encouraging the girl’s family to disavow her to ‘teach her’ what life was really like without the community and for non believers. In the years since being purged after demanding a desire to live a secular existence, Faigy soon found herself experiencing bouts of mental trauma, mental illness and all consuming depression which necessitated her at times being sequestered in mental clinics. Yet the question remains to what degree did the ostracized woman suffer, to what extent was her ostracism the beginning of her self dislocation and how did her depression manifest itself in her day to day life and her ambition to make it on her terms without the rules and stipulations afforded to Jewish Hasidic members? ‘She often said getting good at pretending was better and faster than doing the work. The past several months she worked to build that fake programming, top of the world, Faigy, and then, on a manic medicated state probably thought “what the hell, Im on top and soon to be found out, so Ill jump”..
‘I sit here disheartened that she hid her turmoil so well that those around her didn’t know how much she needed to be saved, I sit here sad that I couldn’t do more, but as one of her doctors said to me “often you cant save a person whose illness is so ingrained, so much a part of their soul”. There were other clues and instances that not all was well in the life of Faigy Mayer. 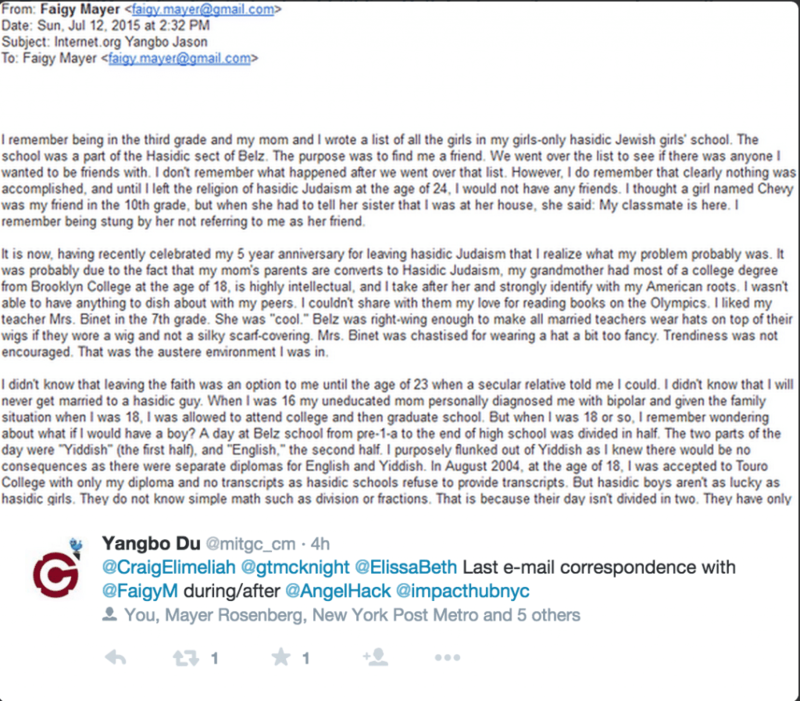 Reports the dailymail: Growing up in the Belz Hasidic communities of Williamsburg and Borough Park in Brooklyn, Mayer did not want to get married as was expected of her and left her family to start a new life in Manhattan. However, the strain of this schism with her family appeared to weigh heavily on Mayer. In certain posts to social media, she aludes to troubles with relatives and in one Facebook update poses with a woman she identifies as her grandmother, whom she says openly dislikes her. Which posits to what degree had the breakdown in her family and her inability to make it on her own outside of her tight knit family and community mentally auger on the woman? To what degree does the Jewish community have blood on its hands for turning its back on one of their former flock for daring to eschew strict religious codes and how did this begin to manifest in one woman’s fragile state of mind as she struggled with her very existential being ….? I’m very sorry for your family’s loss. I am not a doctor, but I did overhear the doctor’s grave, grave concern for her. There is so much pain with mental illness. I wish the conversation about Faigy was about how to better help those suffering and provide them with support rather than focus on the religion aspect. The Daily Mail didn’t even post my comment because it didn’t accord with the spin of their story. Sad. But, like all things, this will pass. I believe that suicide is a prayer for peace. I know Faigy has that now. she kept HERSELF apart from family that supported her..IN and out of the Hasidic community. partly from her often paranoid state, partly from it making her feel part of the group at Footsteps to be like them, ostracized. Faigy did NOT “soon find herself experiencing bouts” of anything. She was diagnosed properly as mentally ill long BEFORE and after her mother’s family had her misdiagnosed. 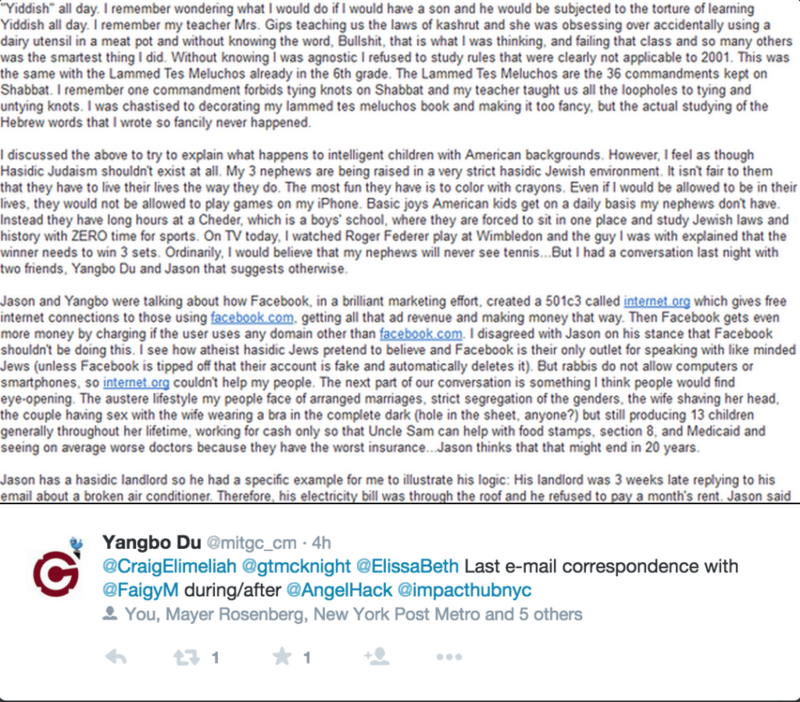 she was NOT an OTD driven to mental illness by the ostracization. thank you Juniper22..Ive been bashed all day for telling trruth. and funny thing is IM the “secular relative” who said to her at age 23 she had a CHOICE that was hers to make. I met Faigy at Bellevue Hospital while visiting another patient. There is no doubt she was lost and alone or that she struggled with mental illness. I have reason to believe her parents were in her life. She was clearly a lovely and brilliant, yet frightened girl. I’m sure leaving her community was traumatic, but I do not believe that is why she ended her despair. There is nothing lonelier or scarier than having a mind that can’t be trusted.